BALI, INDONESIA (August 9, 2017) – Hirsch Bedner Associates (HBA), the world’s leading hospitality interior design firm, continues to be on the forefront of the growing hotel industry with the launch of the firm’s seventh subdivision, HBA Resort (HBAResort.com). The new design division will specialize in creating bespoke, luxury resort properties globally with its flagship office based out of Bali, Indonesia, a hub for Southeast Asia’s flourishing resort community. The design team will draw inspiration from Bali’s enchanting locale working with local artisans and craftsman for indigenous and authentic design projects to create the world’s most treasured resorts. 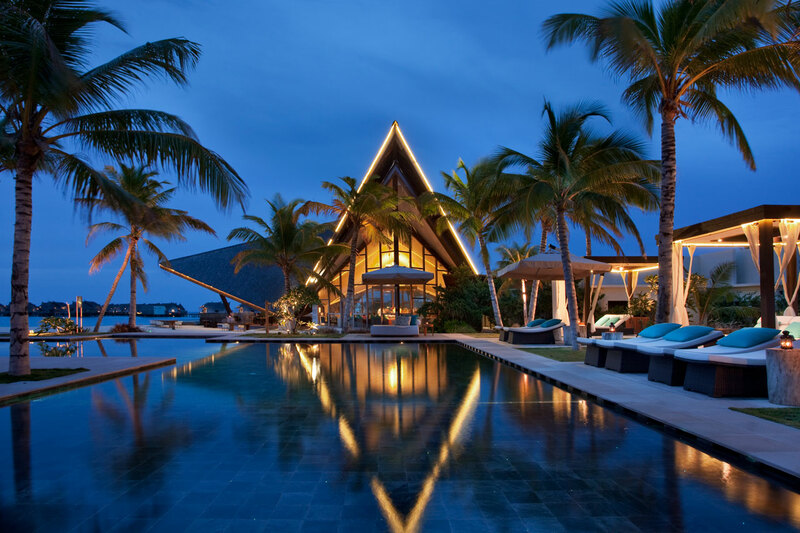 HBA’s portfolio already includes an award-wining selection of resort properties, including the Four Seasons Seychelles, Park Hyatt Maldives, Jumeirah Maldives and Eagle Island Botswana. HBA Resort has already begun work on Anzara Nusa Lembongan in Bali, Intercontinental Hotel Bali and New World Grand Bali Resort. HBA Resort stands apart for its ability to deliver full service resort projects with a hands-on approach – from boutique to comprehensive, large scale mixed-use developments with complete turn-key services backed by 51 years of HBA’s expertise. The new office offers a cohesive service from feasibility master planning packages through room and villa design, hospitality and procurement disciplines. Located in the design base of Bali, surrounded and inspired by the pure artisanal spirit of tropical island life, the design team has direct and exclusive access to the region’s talented artisans specializing in metalwork, stonework, carving and other lost arts that are only found in this region. HBA Resort’s Bali office utilizes a holistic combination of interior design, architecture, landscape, lighting and art – drawing upon the exploration and skills of HBA’s worldwide network of design studios. The team’s environment is their ethos: whether in reference to an island, desert, volcanic mountain or tropical jungle setting, Bali’s enchantment inspires a unique approach to luxury hospitality. World-renowned as the “Number One Hospitality Design Firm” by INTERIOR DESIGN, Hirsch Bedner Associates (HBA), HBA creates the signature looks of today’s luxury brands and unveils the world’s most anticipated hotels, resorts, spas, casinos, restaurants, cruise ships, independent contemporary boutique hotels and world-class residences. Leading the hotel design industry since 1965, HBA remains keenly attuned to the pulse of changing industry trends governed by today’s sophisticated traveler. The company′s international presence, depth of experience, and detailed industry knowledge enables them to identify interior design trends at their source, make definitive predictions about new directions and innovations, and influence design standards at a global level. HBA′s ultimate objective is to add value, raise standards and enhance the brand of a project’s owner and operator. From continent to continent, each HBA interior is the result of a unique and sensitive response to location, architecture, and client vision. With more than 1,700 designers around the globe in 26 offices in nearly every major city, HBA is a true global company. HBA′s international presence, combined with its extensive knowledge of the interior design industry, has facilitated the ability to rewrite the language of design with each new project. In the past six years, the firm has launched six new design divisions, including Illuminate, Studio HBA, Canvas Art Consultants, HBA Architecture, HBA Graphics and HBA Residential. HBA has been honored by Hospitality Design's Platinum Circle Visionary Award and HD Awards, Boutique Design's Gold Key Awards, MEIDA 2017 Awards, China Starlight Awards, China Golden Pillow Awards, and Best D.E.S.I.G.N. Hotel Awards, to name a few. www.hba.com. Follow us on Facebook, Twitter, LinkedIn, Pinterest and Instagram.